In spite of a rapidly improving quality of road network, Greece still ranks very high in the road accidents number, when compared to other European countries. A number of initiatives have been undertaken by the Greek authorities in order to increase the road safety in Greece, amongst them tightening of speed limits control. When driving in Greece, you will encounter traffic police patrols as well as speed cameras - on the mainland, as well as on the Greek islands – on more than one occasion. For a relaxed and safe holiday, be informed about the speed limits and basic traffic regulations in Greece beforehand. 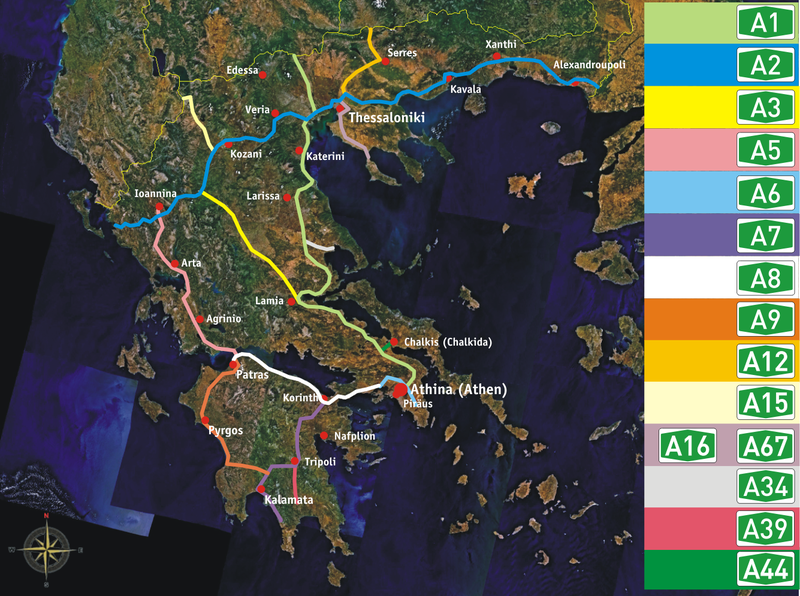 See the map of motorways in Greece (click to enlarge). In Greece, driving under influence of alcohol or other substances may result in heavy, paid on the spot fines, or even withholding of the drivers permit. The legal alcohol limit in Greece is 0.5%. For the drivers who had their license issued for less than two years the limit is 0.2%. drivers and passengers of motorcycles, mopeds and quad bikes in Greece are requires to wear a suitable helmet. Car hire Greece speed limit, drink driving and other road regulations in Greece. Advice self-driving holiday in Greece traffic regulations. Minimum driving age alcohol limit.